Intrigued by those ” port holes ” ~ what is going on there ? Not portholes. I know the place well and was there this evening. They are polka dots as the business specialised in Polka Dot Curtains……. Na, truth is these black dots are painted with very thick blackboard paint (now peeling badly) and were used to scribble chalk signs like discounts and specials that could be rubbed out and changed instantly. 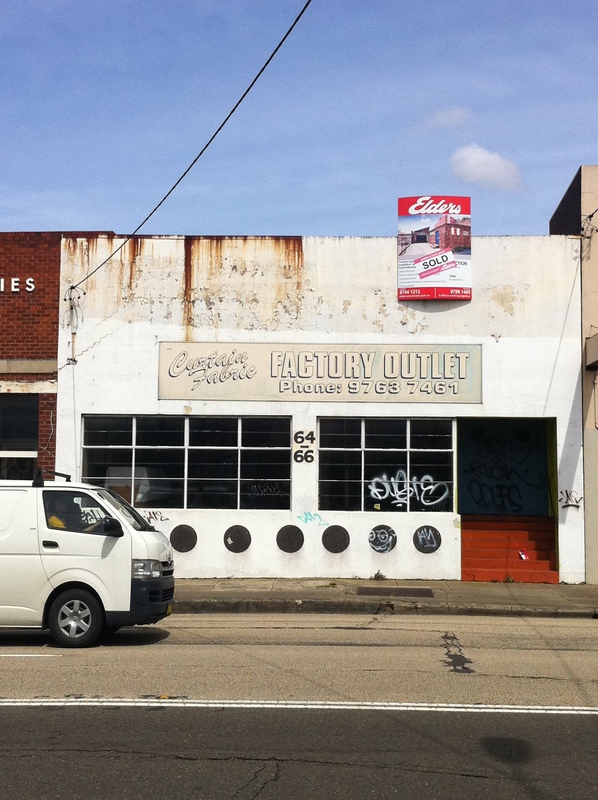 I was brought up in the area and I believe the black chalkboard dots pre-date the building’s use as a curtain shop. My best bet was that it was previously a butcher shop yet can’t be certain.